Bianca returned from the workshop and introduced the materials into her classroom with great success. 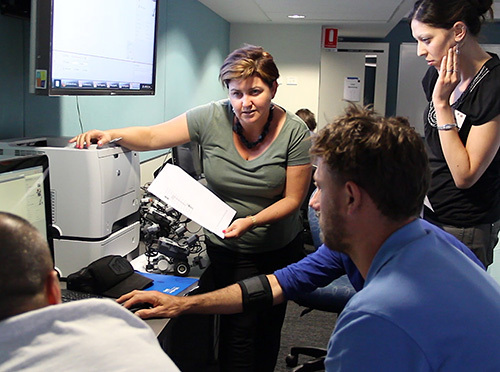 In 2016, she returned to another CS PD workshop at the University of Newcastle, not as a student but as a teacher. She shared her expertise and experience implementing digital technologies at her school coupled with practical tools to implement in the classroom. Through her leadership she’s helping equip other primary teachers interested in integrating computer science and computational thinking into their classrooms. Bianca’s experience through the CS PD workshops has significantly impacted her school’s STEM offerings. Thanks to Bianca’s advocacy and expertise, Kahibah Public now offers dedicated STEM class time with a focus on engineering and robotics for students. Programming makes students happy and smile! 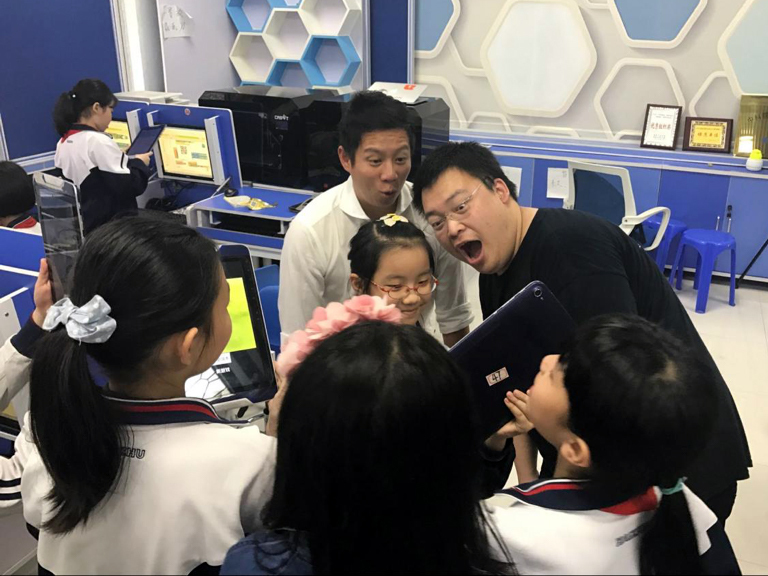 Shangbin Li, a teacher at Guangzhou Yilelu Primary School in Guangzhou city, wanted to offer his students an easier way to learn programming and computational thinking. Today, most schools in China offer an Information Technology (IT) course as part of their standard curriculum. Each course incorporates the basics of application tools and programming; however application tools are not enough to improve a student’s computational thinking (CT) and real world application of computer science from Shangbin’s point of view. Some students are also struggling to learn programming without a strong foundation in CT and computer science. Shangbin was determined to improve his student’s experience learning CS and CT. He found a professional development opportunity through his local education department. Shangbin attended a workshop to learn about App Inventor as a solution to teach CT and CS in his classroom so that students can program mobile applications. Paul O’Callaghan is a primary school teacher at Lucan Community National School in Dublin, Ireland. His interest in CS was first sparked when he took some summer PD courses in Scratch and continued later, when he chose modules in Computational Thinking, STEM education and Raspberry Pi during a Postgraduate education course. He then decided to participate in the CTwins project, a joint initiative of Trinity College Dublin and Queen’s University Belfast and 2016 grantees. “The CTwins workshop helped me grow in confidence”, Paul says. “It was motivational to be surrounded by like-minded educational professionals and to work collaboratively with people of all ages who were passionate about integrating computational thinking meaningfully into their curricula.” Paul’s experience at CTwins not only gave him the confidence to use Scratch in his Science lessons, but also encouraged him to begin helping other members of staff at his school and to develop a programme to integrate CS throughout the entire curriculum - from BeeBots, Kodables and Scratch Junior in Infant classes, to Blockly, Brebas challenges and programming Sphero and Drones for the 8 to 10 year olds. Parents have also been invited to join coding classes with their children. “Integrating community links at such a young age opens parents’ eyes to the wealth of opportunity CS skills have for pupils”, Paul says. “The potential for CS in our school knows no bounds”. Encourage your local CS departments at universities, nonprofits, or professional development organizations to apply for an educator grant. Grants supporting educator PD is one of the many Google initiatives that focus on CS education. 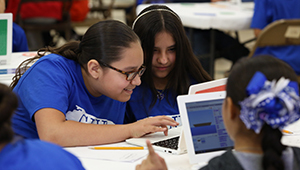 Check out these programs and resources for your students and classroom. Free, easy-to-use computer science curriculum for in or out of the classroom— no experience needed. 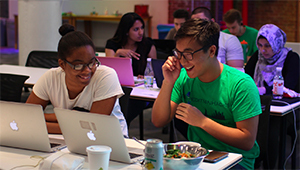 Free course to prepare college students for CS careers through hands-on coding experiences. Free course to prepare learners for jobs that require basic digital skills.